NEW YORK, April 10, 2019 /PRNewswire/ -- The feed phosphate market reached the valuation of nearly US$ 1.5 Bn in 2018 and is likely to experience steady growth through 2028. 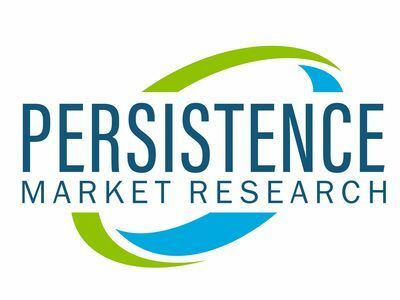 A new Persistence Market Research study suggests that the feed phosphate market value will expand at over 4% CAGR between 2018 and 2028. By species, poultry is projected to remain dominant in the global feed phosphate market, with a considerably high market share of more than 43% at present. Meat processing has been an industrialized sector since the recent decades, which is offering a cost benefit to consumers. Since beef and other meat products cost nearly half of what they used to in the last century, industrialization of meat processing will remain the most sought after advantage over the years to come. However, the scenario has also been responsible for imposing pressure on the animal husbandry industry to produce an increased number of animals under a shorter timeframe. This has been beneficial for feed additives such as feed phosphates. Feed phosphate allows animal rearers to achieve the desired animal weight faster and more efficiently than by using traditional nutritional supplements. The feed phosphate market is not as highly fragmented as other feed additive markets, since a small group holds a large share of phosphate processing, worldwide. There are various established, organized players present in the feed phosphate market that have the capabilities and means to fulfill the increasing consumer requirements of phosphate products. There have been market entrants in the feed phosphate industry with enormous manufacturing capabilities, which is expected to increase the inflow of feed phosphate products and slow down the price increase that was expected in the market. This might encourage potential feed phosphate consumers to make purchases based on the same, increasing the feed phosphate market value and volume in the process, during the forecast period (2018-2028). Dicalcium phosphate currently holds just-under 55% share in the feed phosphate market value. Monocalcium phosphate on the other hand, accounts for more than a third of the total market value. 38.7% market share. Rapidly increasing production of the latter by feed phosphate manufacturers is however projected to accelerate the demand growth of monocalcium phosphate, especially in the North American region. Monocalcium phosphate is becoming a preferred consumer choice, particularly among the agricultural community, which is fueling the demand. In the global feed phosphate market, North America and East Asia prove to be prominent regions in terms of market value and volume. However, East Asia and South Asia are regions that hold the most promising opportunities for growth, with CAGRs of 4.0% and 3.3%, respectively. This can be attributed to the increasing and efficient animal husbandry practices in these regions, and also the increasing compound feed production. Some of the key players included in the feed phosphate market report are Phosphea, Nutrien Ltd, The Mosiac Company, Eurochem Group AG, J.R. Simplot Company, Phosagro, OCP Group, Yara International ASA, Ecophos Group, PotashCorp, etc. The key competitors in the market are focusing on product developments, expansions and investments, and mergers & acquisitions for catering the market requirements.